Hello everyone, my name is David. I came to Japan in October 2001 for one year, but I really enjoyed Osaka and decided to stay much longer. I am a movie and especially a TV drama maniac. I love different kinds of music and go to as many live shows as I can. I also like cook, especially Mexican food. 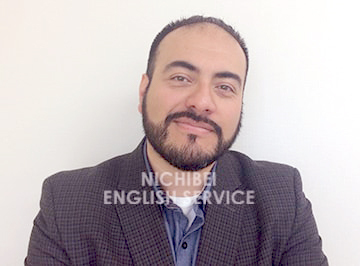 I look forward to having you in class or just talking at Nichibei. Don't be afraid to say "hi"!